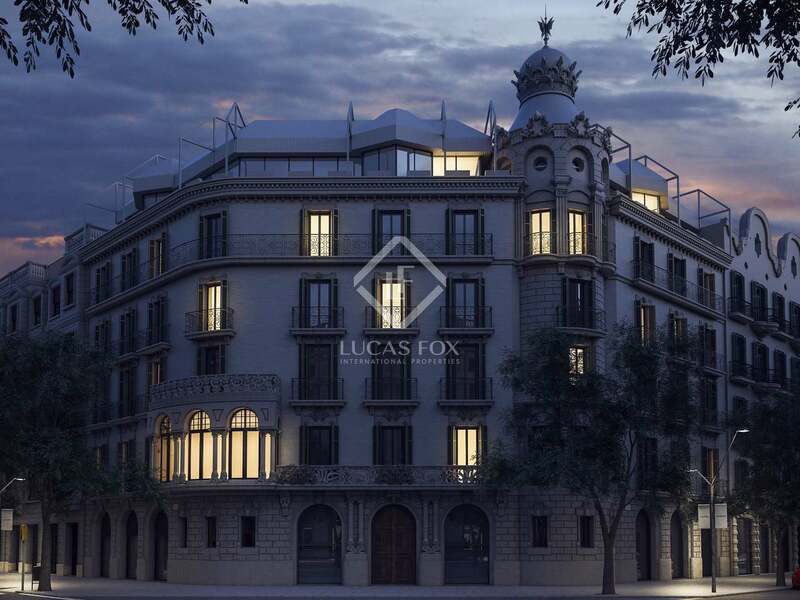 Brand new 2-bedroom apartment available in this excellent new development in Eixample Right with 2 communal pools and a gym. 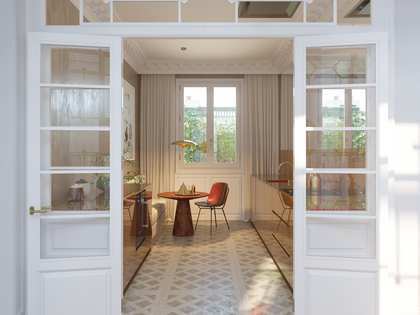 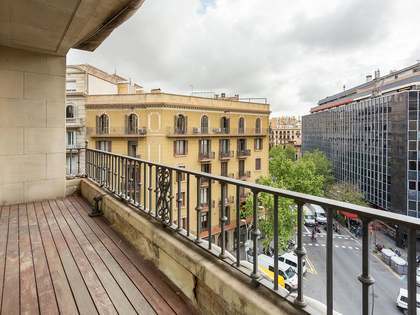 Brand new first floor apartment of 134 m² in an elegant Modernista building by Enric Sagnier near Passeig de Gracia, Palau de la Musica and all that the city centre has to offer. 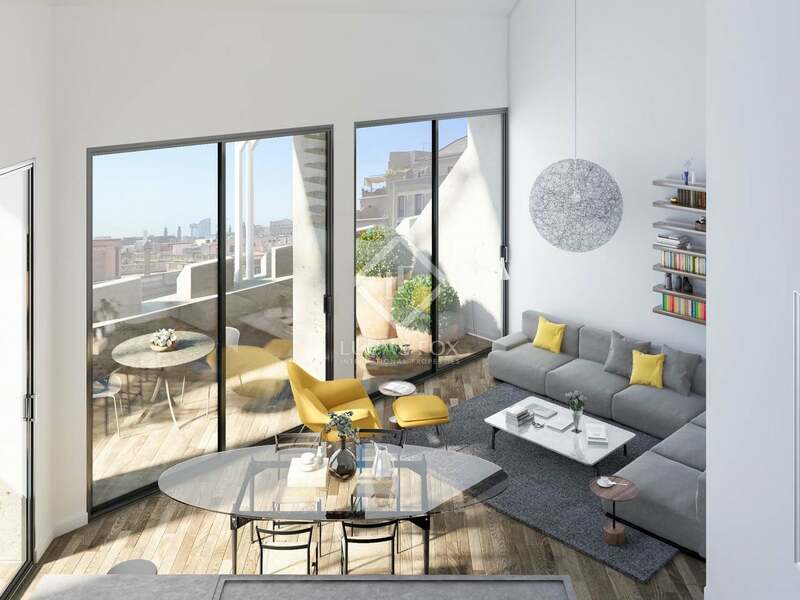 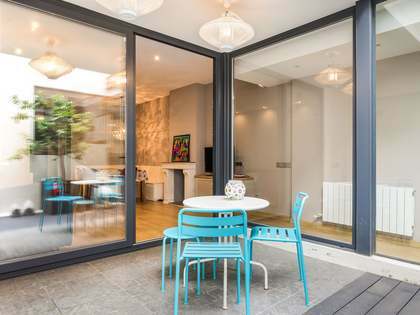 This exclusive 2-bedroom apartment boasts light-filled interiors and a spacious living and dining area with an open-plan kitchen leading out to a balcony and the terrace; ideal for modern family living. 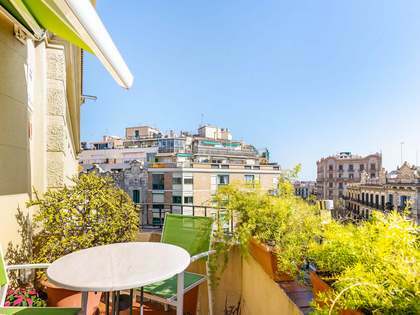 There are 2 generous sized double bedrooms, each with a balcony and a bathroom as well as a 21 m² studio leading off of one bedroom and a dressing room from the other. 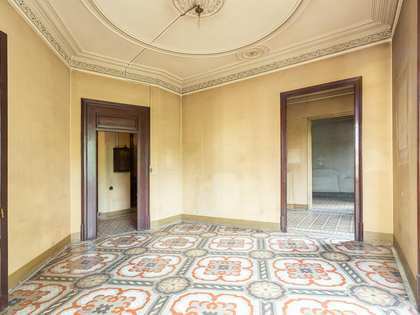 High-end finishes and attractive neutral decor features throughout and storage rooms are available in the basement of the building.